Warning: This article contains major spoilers for Avengers: Infinity War. 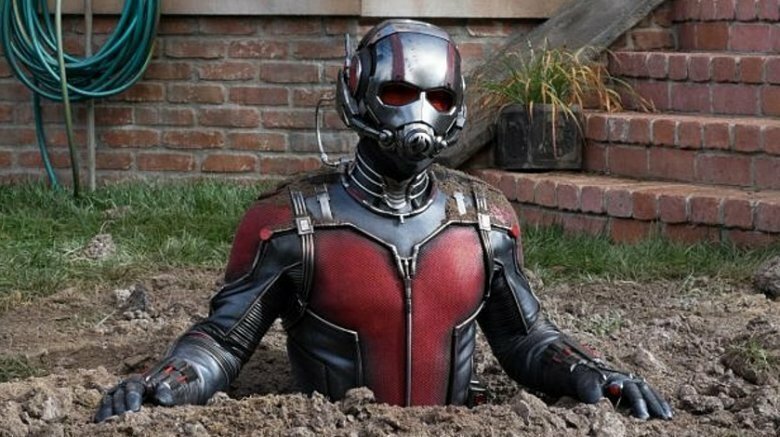 Paul Rudd's Ant-Man may have missed out on the fun of Avengers: Infinity War, but he'll be back in action for the fourth film. Scott was said to have been caring for his family during the events of the third team-up, but some audiences didn't buy that reasoning. 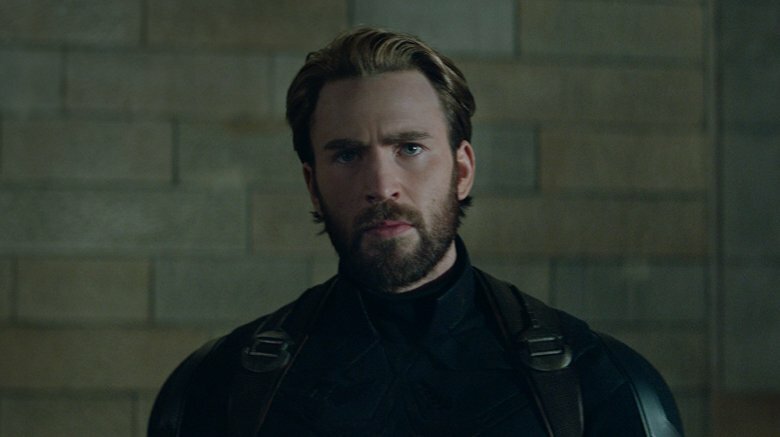 Screenwriters Christopher Markus and Stephen McFeely have said that "all will become clear" with regards to Scott's absence when Avengers: Endgame comes out. 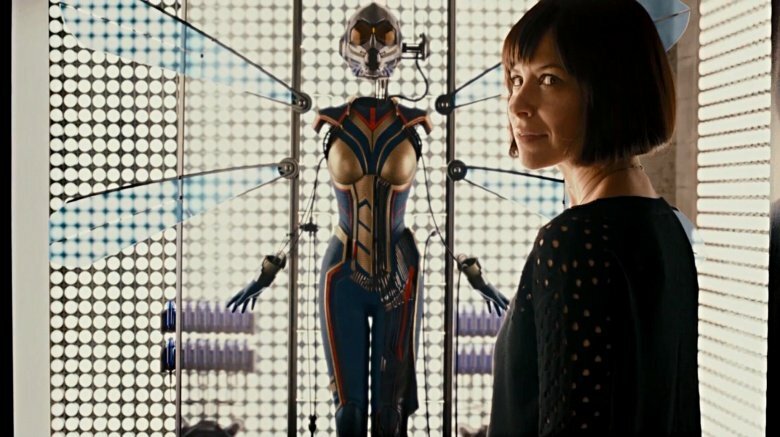 In the meantime, we got something of an answer when Ant-Man and the Wasp was released; it seems that Scott was a little busy trying to save the original Wasp, Janet Van Dyne, from the Quantum Realm while the rest of the Avengers were fighting Thanos. The real question isn't what was Scott up to during Infinity War, but how did Scott end up back on earth in time for Endgame? Ant-Man and the Wasp ended with Scott trapped in the Quantum Realm after Thanos' snap caused his extraction team to fade into dust, but the Avengers: Endgame trailer clearly shows Scott back in action on Earth. How he escaped the Quantum Realm, and what he'll do to bring back Hope, Scott, and Janet back to life, is a mystery we're hoping to see answered. 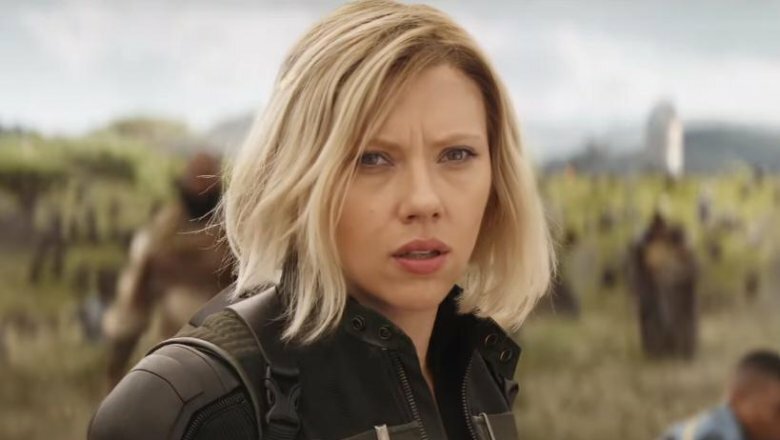 Scarlett Johansson's Black Widow changed her hair color for Infinity War, but she and her new blonde 'do didn't have as big a part as some fans had hoped. Although Black Widow got in on the action in Wakanda, her character didn't get much of a storyline beyond the fight. Markus explained that this is mostly due to her attitude — Black Widow is very "hard-bitten," ready to fight when she has to, meaning that there wasn't much ground to cover with her emotionally. However, given the fact that Black Widow is one of the few characters who survived the events of Infinity War, it seems safe to say she'll have a big role to play in the fourth film. 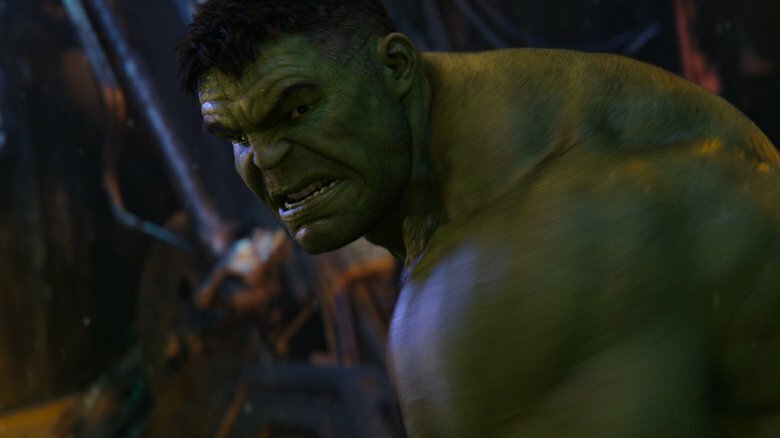 Markus basically confirmed as much, saying that some of the characters who were featured less in Infinity War had "far more potential" in Avengers 4 "just in terms of how their characters would be tested by the story." Captain Marvel seems likely to play a big role in Avengers 4, considering the fact that so many of the MCU's other heroes are currently out of commission, at least for the moment. Considering Marvel Studios head Kevin Feige has said that Captain Marvel will be the most powerful character in the MCU and Markus has said she's on "a power scale that right now doesn't exist in the MCU," it seems safe to say that Carol Danvers will end up having a big role to play in finally taking down Thanos. 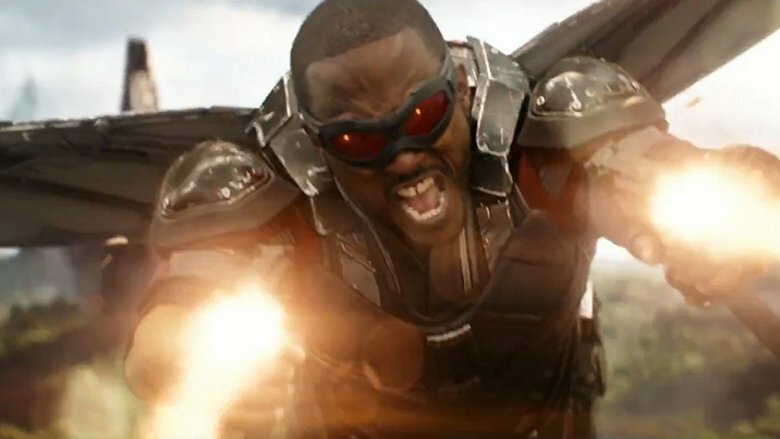 Anthony Mackie's Falcon may have disintegrated in Infinity War, but he has already assured fans that he will be back for the fourth film, sharing a picture of himself on the movie's set. 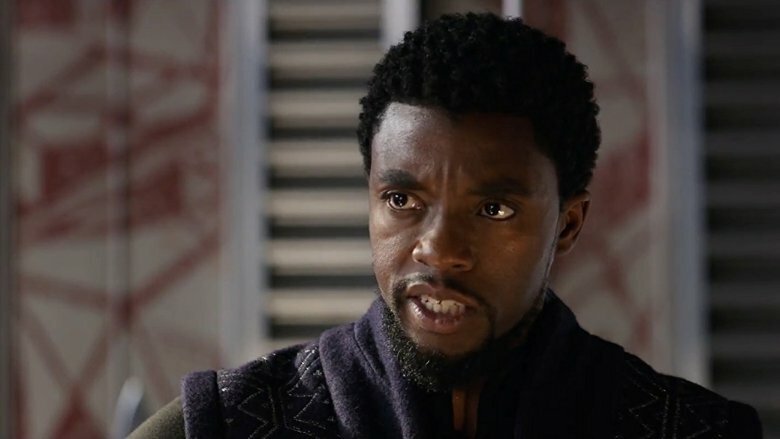 Mackie even offered up a bit of a hint for fans eager to hear about the plot of the movie, telling MTV, "[It's] a whole lot of people fighting. A whole lot of people talking." "I know that we will all have to come back at some point this fall and finish up the second, um, the fourth installment of Avengers," Saldana said when asked by E! News about her last day on set for Infinity War. This seems to confirm her involvement in the fourth film, which would suggest that her character will somehow come back from the dead. 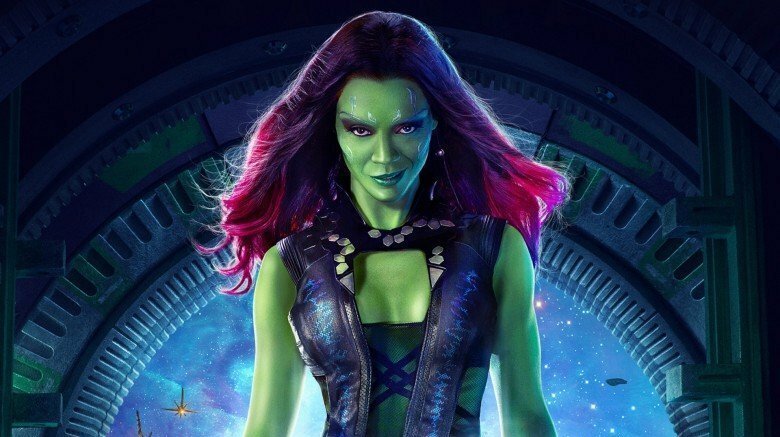 While it's also possible that she could be shown via flashback, it seems like there's still lots of story left for Gamora in the Guardians franchise, and it could be possible that she'll get a full resurrection in the film. The absence of Jeremy Renner's Hawkeye from Infinity War was one of the film's biggest surprises. Like Ant-Man, Hawkeye was said to have retired from the superhero biz to be with his family, who were introduced in Avengers: Age of Ultron. Renner has confirmed that he will be back for Avengers: Endgame, though, which could spell bad things for his loved ones. Some theorize that Hawkeye's family will have been killed off thanks to Thanos' doings, which could bring the hero back into the fold with a vengeance. 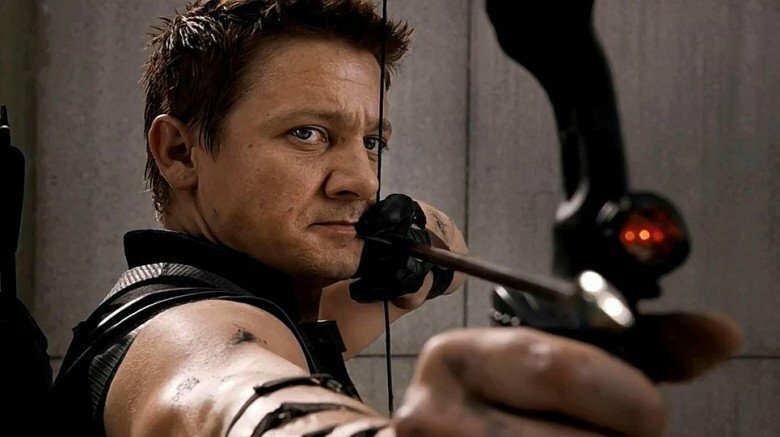 While the trailer decidedly proved that Hawkeye wouldn't be sitting out two Avengers films in a row, it also confirmed fan theories that he would be taking up the mantle of Ronin. In the comics, Ronin is a superhero identity passed around various superheroes, usually when they need to go incognito for specific (and often extra violent) missions. If Hawkeye has become Ronin following Thanos' snap, his dark new threads are a big clue that his family didn't make it. Regardless of which name he goes by, Markus hinted that Hawkeye will be a big part of the fourth film, telling BuzzFeed, "We like Hawkeye. We like Hawkeye so much we gave him a really good story." Hopefully that story is good enough to satiate the fans who were so sorely bummed out over the lack of the archer in Infinity War. She is, though, one of the few characters who makes it past Thanos' wrath, which puts her in a prime position for her appearance in Avengers 4. Gillan has teased that she hopes the character will be able to "somehow face her daddy issues head on" in the film, which would mean a big confrontation with Thanos. However, Gillan did note at the time of the interview that she wasn't sure exactly what would go down, so it's unclear what role Nebula will ultimately play in the proceedings. Whether or not he makes it out alive, it seems like a lot will happen for Thor in the untitled Avengers sequel. Despite the fact that the character got a much needed haircut in Thor: Ragnarok, Hemsworth was spotted on set with the character's old long-haired 'do back, which implies that the film might be offering viewers some kind of flashback. With the movie appearing to tie back to the original Avengers somehow, Thor should have quite the journey ahead of him. Lilly has said that you shouldn't expect too much Wasp in the film, revealing during a Q&A on her Instagram page that she is "not going to be [in it] a ton." However, she did say that she's "proud" and "stoked" to be on board for the movie, adding that she had "so much fun" on the film's set, which had a party-like atmosphere. We don't know what role the Wasp will have in the action, but some have theorized that the Quantum Realm could be a way to bring back the disintegrated heroes, which would give Ant-Man and the Wasp big parts to play. Stan remained tight-lipped about what exactly Bucky would be up to in the film, but he did confirm that he'd be going down to the movie's Atlanta set for more filming. It does seem like the Bucky and Steve journey will be important to the story, though, with the Russo brothers saying that the film will "complete the personal journey" that they started in Captain America. What exactly that means remains to be seen, but it does seem to imply that Bucky will have a big part to play. Even though most of the Guardians of the Galaxy bit the dust at the end of Avengers: Infinity War, they should be making an intergalactic comeback in Avengers 4 ahead of James Gunn's planned third Guardians film, due out in 2020. Dave Buatista confirmed that his Drax the Destroyer will be back for both Avengers 4 and Guardians Vol. 3, although he did say that he didn't know "how they're bringing me back." 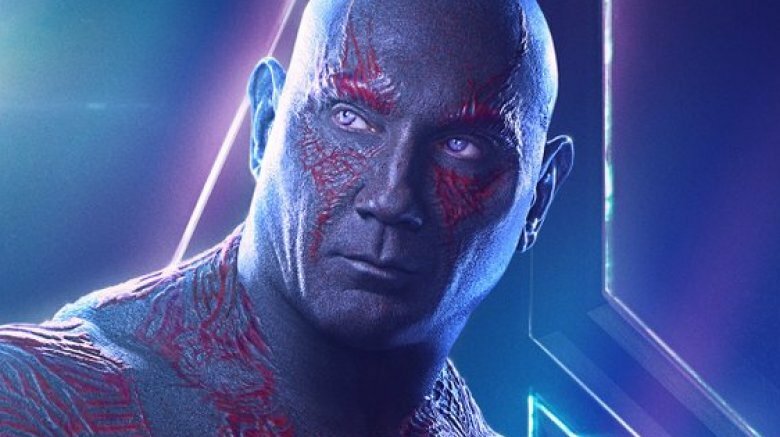 Bautista had expressed big hopes in the past for Drax's future in the franchise, saying he wanted to see him take on Thanos, the being responsible for the death of his character's family. "I'd love to see him go head to head with Thanos," Bautista said. "I've always been a proponent for that." 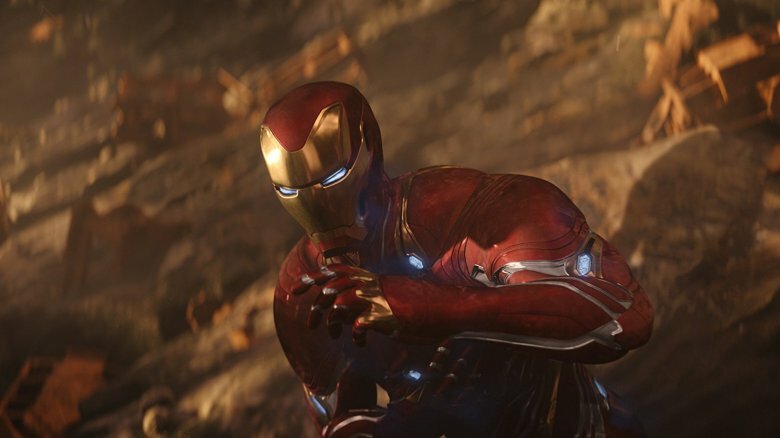 However, he added that he trusts what Marvel plans to do with the character in the future, saying "they're just really brilliant" about their writing. 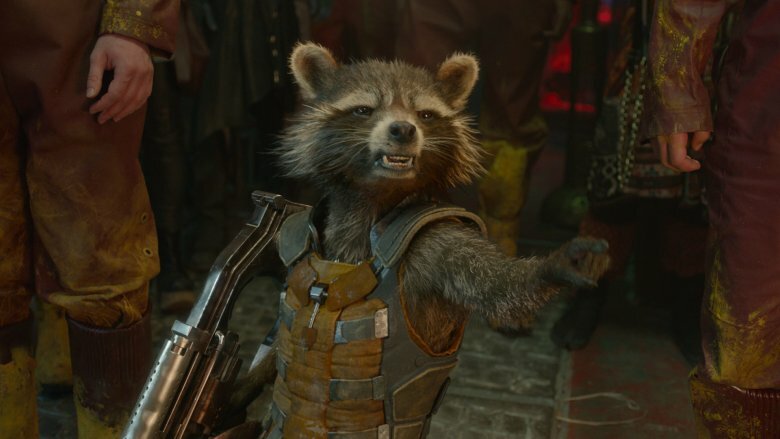 After two movies of Rocket finally learning to love his wacky Guardians family, it was tragic to see him reach out to Groot as the alien tree evaporated into dust in Avengers: Infinity War. It's the second time Rocket has had to watch Groot die in front of him, and this time there wasn't even so much as a twig left. Unfortunately for everyone's favorite surly raccoon, it's much worse than he knows. Not just Groot, but the other members of the Guardians of the Galaxy — Star Lord, Drax, and Mantis — were likewise snapped into non-existence, while Gamora was personally killed by Thanos. 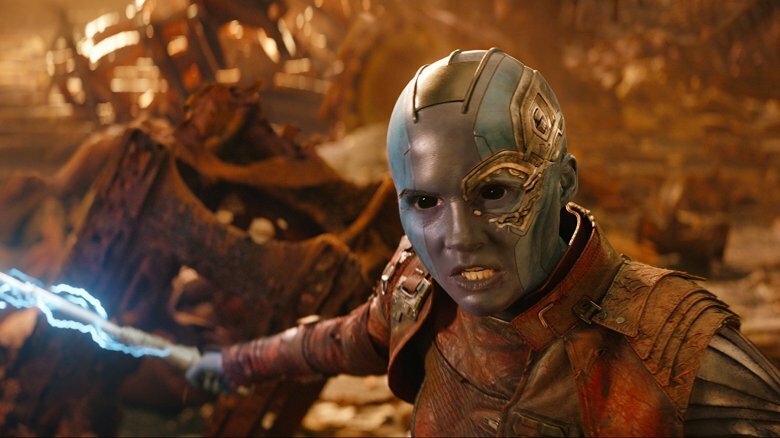 Nebula is still hanging around, but considering how many times she and Rocket have tried to kill each other in their last two movies, that's probably not going to make him feel any better. Still, we know for a fact that Rocket survived the cataclysmic event, so we can be pretty sure that he's going to be out for Thanos' blood in Avengers 4. Luckily for him, he's got a burgeoning bromance developing with Thor, so at least he's not entirely bereft of friends. Plus, Dave Bautista has already confirmed that at least some of the Guardians will be appearing in Avengers 4, so maybe Rocket will get reunited with his family in the sequel. 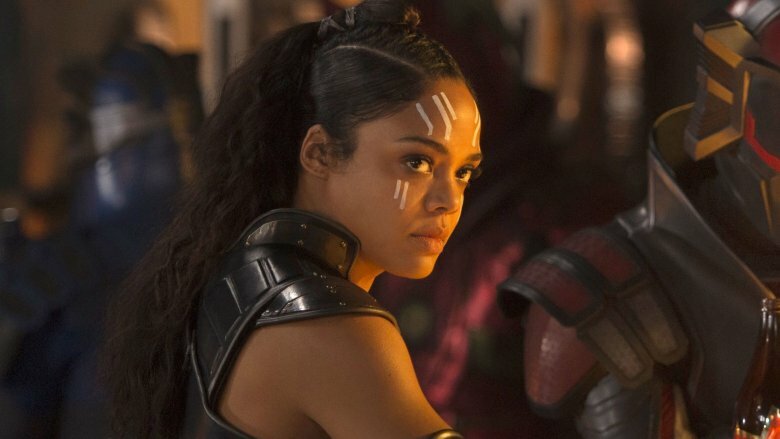 Tessa Thompson's Valkyrie was one of the most electrifying characters in Thor: Ragnarok, which is even more impressive when you consider that she was sharing screen time with the God of Thunder. Unfortunately, she wasn't seen or mentioned in Avengers: Infinity War. When Thanos invades Thor's ship at the beginning of the movie, it's mentioned that half of the ship's occupants managed to escape the slaughter. Since the movie's release, the Russo brothers have played coy about whether Valkyrie survived that opening scene battle, and were even more coy about whether she survived the Infinity Gauntlet snap. They eventually did confirm that she survived, while Thompson clarified in a tweet that "she's THRIVING." 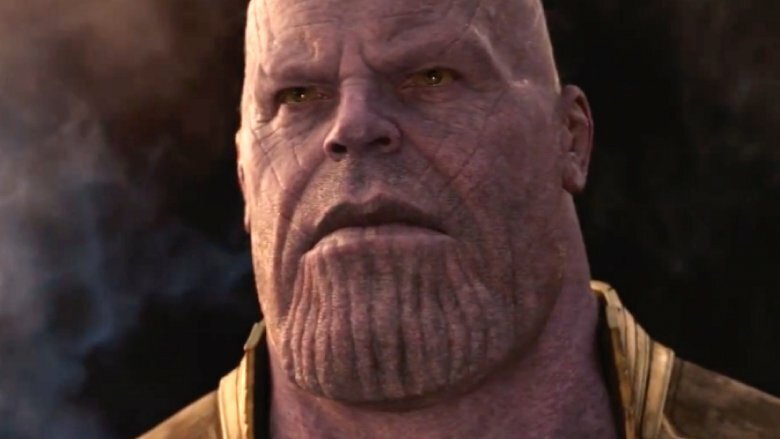 All that points to a cameo for Avengers 4. These rumors that have only intensified since Thompson was seen boarding a plane with Chris Hemsworth. The destination? Atlanta — the location of the Avengers 4 reshoots. All of which is to say that you definitely shouldn't be surprised if Thompson's hard-drinking, hard-fighting goddess shows up for a throwdown with Thanos. Ant-Man and the Wasp was a great palate cleanser for Avengers: Infinity War, with a fun, breezy story and enough of Paul Rudd's Scott Lang to make up for his absence in the battle with Thanos. 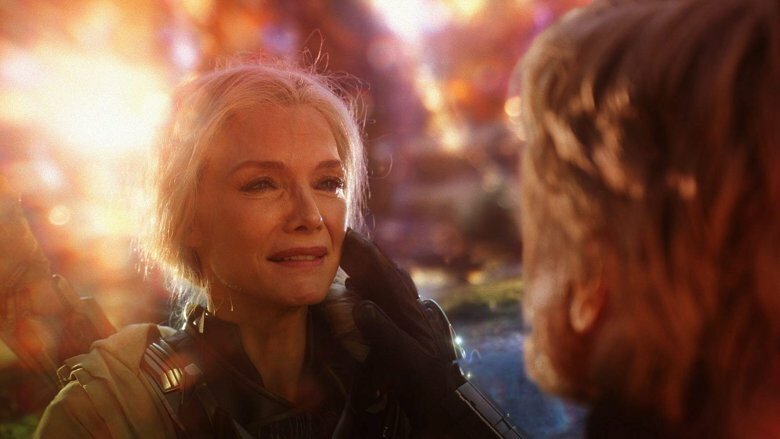 Unfortunately, that sense of fun only lasted until the post-credits scene when (spoilers ahead) Hank Pym (Michael Douglas), Janet Van Dyne (Michelle Pfeiffer), and Hope (Evangeline Lilly) all fade into dust from Thanos' snap, while Scott was trapped in the Quantum Realm with no way out. Luckily, we've got confirmation that Janet and Hank appear in Avengers 4 in some capacity. In an interview with the Independent, Winter Soldier actor Sebastian Stan mentioned a massive, spoiler-heavy scene that featured "everyone… from Michael Douglas to Michelle Pfeiffer." Considering that we didn't see that scene in Avengers: Infinity War, it's a safe bet it'll be in Avengers 4, and likely will feature the resurrected heroes facing off against Thanos. It's a good thing too; considering how much work it was to actually save Janet from the Quantum Realm, it would be a real shame if she didn't get a chance to actually enjoy her return to Earth. 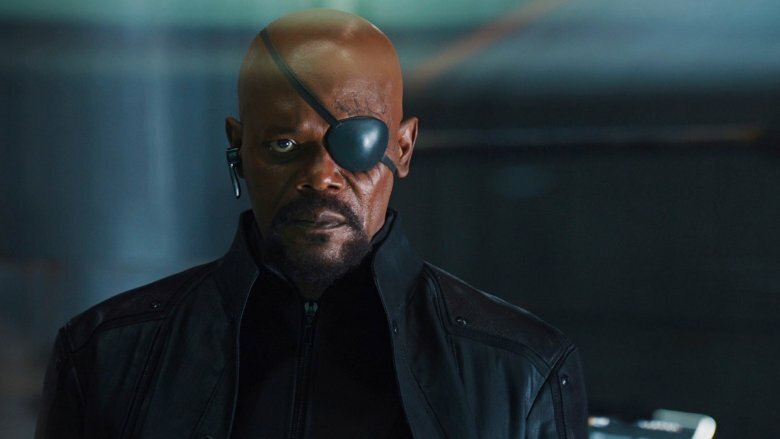 2008's Iron Man might have started the Marvel Cinematic Universe as we know it, but it was Samuel Jackson's Nick Fury that laid the groundwork for the Avengers coming together. 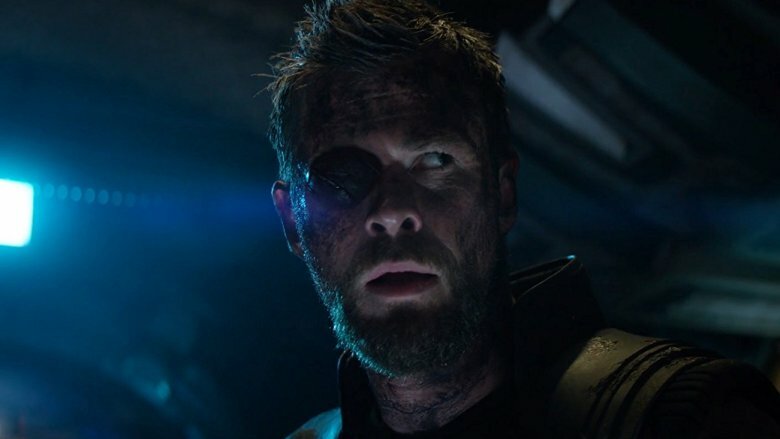 The man with the eyepatch is also the man with the plan, as he's the nexus point for most of the Earth-bound superheroes we've seen so far (and if the trailer for Captain Marvel is any indication, he's probably got even more intergalactic friends). Whatever the climax of Avengers 4 ends up being, it wouldn't be the same without the irreplaceable master spy. 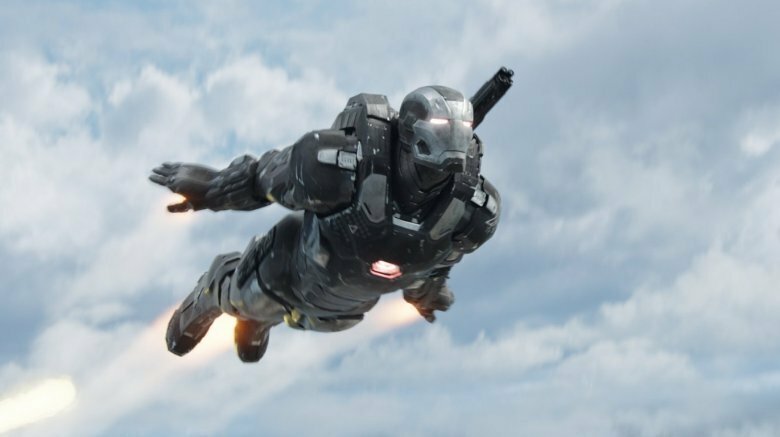 Unfortunately, Fury vanished into dust at the end of Avengers: Infinity War, but that's no guarantee against him appearing in the sequel. 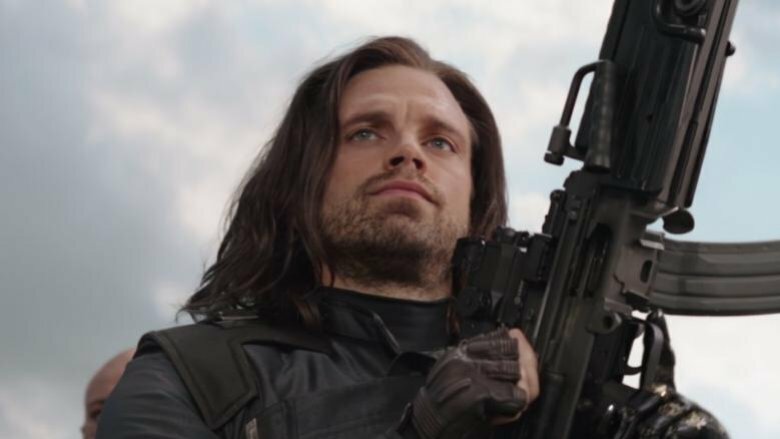 Winter Soldier actor Sebastian Stan confirmed that Jackson will be appearing in a massive scene that features nearly everyone in the MCU, adding, "Everyone is there." If nothing else, we know we'll be seeing plenty of Nick Fury in 2019's Captain Marvel, so that should manage to keep fans sated until we find out how he returns from the dead in Avengers 4. While Benedict Cumberbatch's Stephen Strange faded into dust by the end of Avengers: Infinity War, audiences were left scratching their heads about whether Wong survived the snap, and more importantly, whether he ever got that tuna melt he asked for at the beginning of the movie. 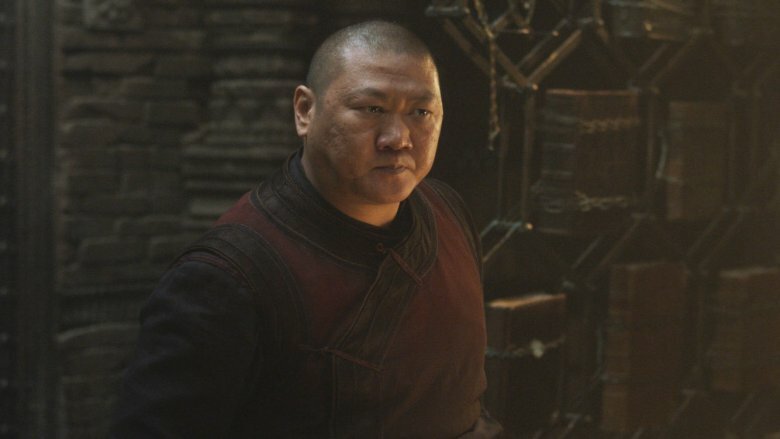 Well, it seems Wong actually did manage to survive, as actor Benedict Wong shared a photo on Instagram captioned: "Happy to be filming @Avengers 4." 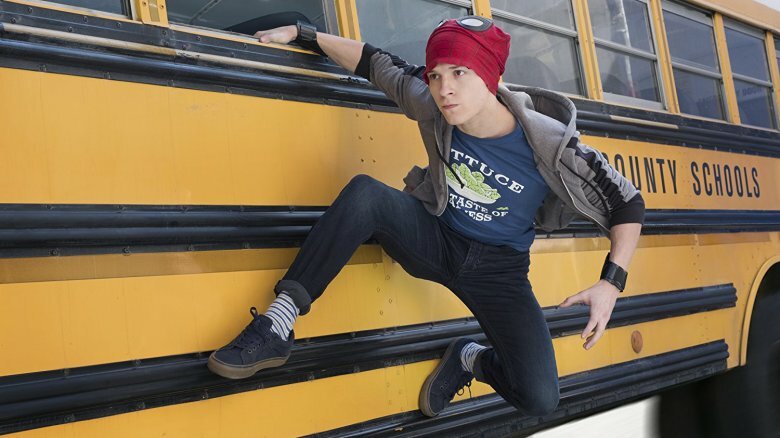 However, the photo he shared shows him wearing some sort of latex replica of his skin and hair, which seems to hint that the character might be revealed to be a Skrull in the sequel. The Skrulls, which are due to be introduced as the main antagonists of Captain Marvel, are a race of shape-shifting aliens that have tried to conquer Earth dozens of times in the Marvel comic books. Whether Wong appears as a magic superhero or an alien enemy in Avengers 4, we'll just have to wait and see. Danai Gurira's Okoye has been through a lot since she first appeared in Captain America: Civil War. 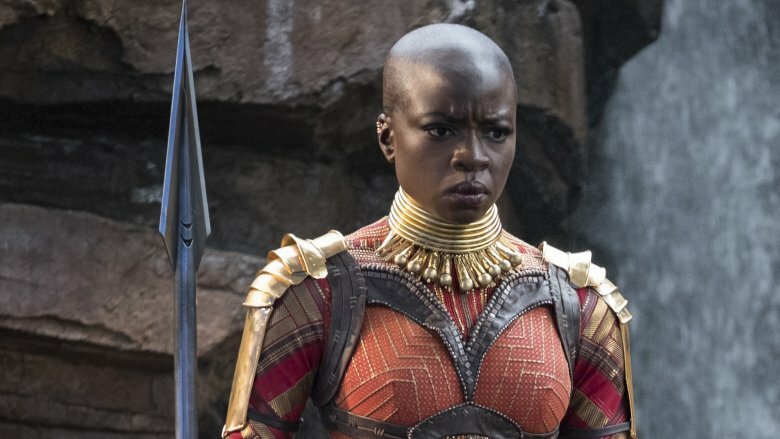 She watched her king T'Chaka die in a bombing, led a righteous coup against Killmonger in Black Panther, and fought thousands of aliens right on the outskirts of Wakanda in an attempt to save the world in Avengers: Infinity War. 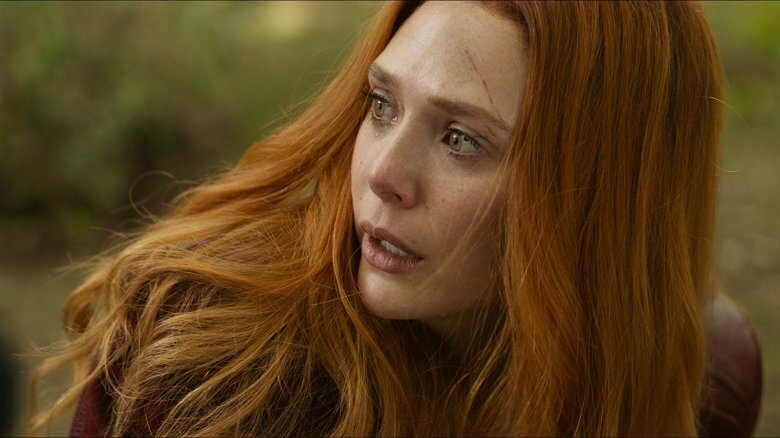 That's enough to shake anyone to their core, but it only gets worse for her, since she also had to watch as T'Chaka's heir, T'Challa, faded into dust after Thanos' all-powerful snap. The Russo brothers mentioned in an interview with Entertainment Tonight that those events have put Okoye in a really interesting place as a character. ""Her goal in life, her mission in life is protect the king and watching him evaporate in front of her and there is nothing she can do about it is really taking that source of pride from her and that duty," the duo hinted. "It challenges her in the most painful way possible." They're not just leaving that characterization for the Black Panther sequel, either. Pom Klementieff, the actress who plays Mantis, accidentally let it slip that she shared a scene with Brie Larson and Danai Gurira on the set of Avengers, which confirms that T'Challa's right-hand woman will be appearing in the sequel. Tilda Swinton's Ancient One was one of the few superheroes to not fade into dust after Thanos' snap — unfortunately, that was because they'd already been mortally wounded by Kaecilius in Dr. Strange. As with the rest of the dearly departed superheroes on this list, the Ancient One's supposed death won't stop them from appearing in Avengers: Endgame. Michael Grillo, an executive producer on the upcoming film, dropped a very loaded hint while speaking at a panel at the Austin Film Festival. According to Super Bro Movies, Grillo said that "when we got Tilda Swinton, she was just a one-day availability." That seems like rock solid confirmation that the Ancient One will be appearing in Avengers: Endgame. However, fans of Swinton's character aren't likely to see their return to the MCU proper. 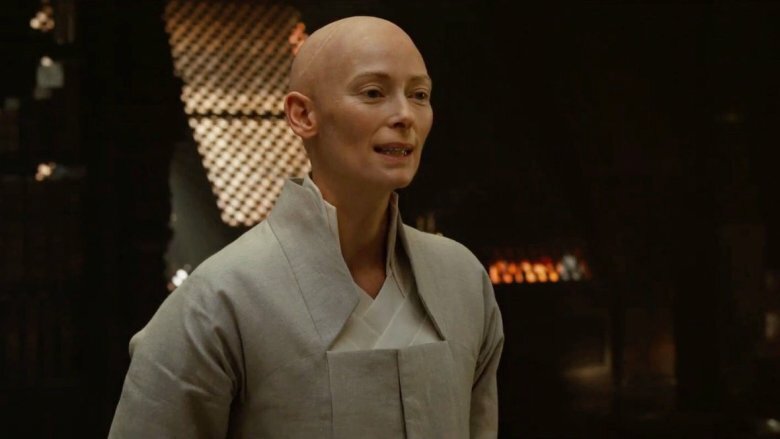 Unlike those heroes killed off by Thanos, it's much more likely that Swinton's role will be in a motivating flashback for Benedict Wong's Wong or Benedict Cumberbatch's Dr. Strange. Chris Pratt's Star-Lord had arguably the saddest arc in Avengers: Infinity War; after nearly defeating Thanos with the help of Iron Man, Spider-Man, Dr. Strange, Mantis, Drax, and Nebula, he ended up accidentally freeing Thanos from their carefully orchestrated trap and indirectly causing the deaths of half the universe… himself included. Shuri's fate, meanwhile, was much more vague. 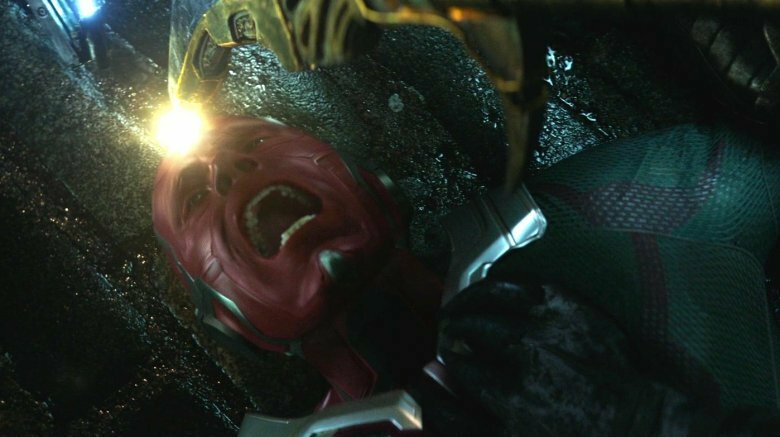 While she participated in the battle against Thanos by attempting to separate Vision from his Mind Stone, fans didn't get to see whether she ultimately survived the fateful snap. 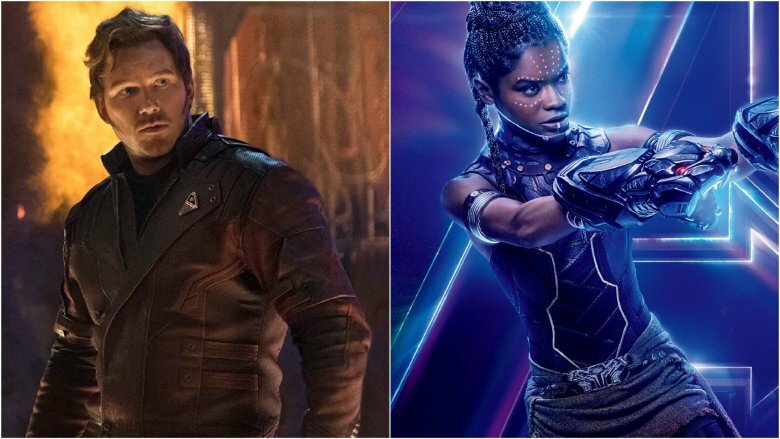 However, you can expect both of these heroes to make a return in Endgame, according to none other than Shuri herself: Letitia Wright. According to Screengeek, Wright was asked about her favorite actor to work with on the Avengers films, and she responded: "Chris Pratt was genuinely a great person. He would like give me Bible scriptures out of nowhere and then do a dance and leave. He's great. I love Chris Pratt." Considering that she and Pratt don't share a scene in Infinity War, it's safe to say that they probably spent that time together while filming Endgame. Whether Shuri survived the snap, or will be making her return alongside the other resurrected heroes, we'll just have to wait and see.